Shins International is a globally recognized construction company which has successfully delivered various architectural assignments across the world. 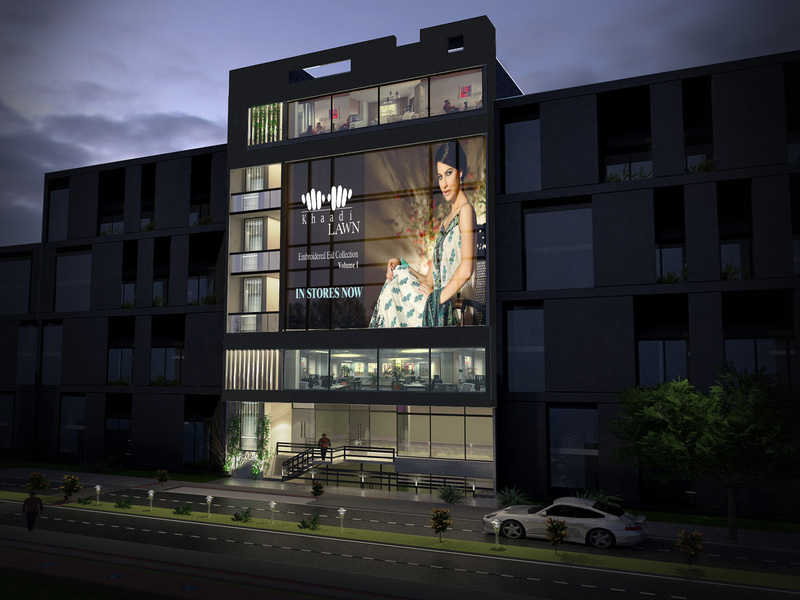 The company aims to implement modern architectural designs and structures in this unique commercial venture. 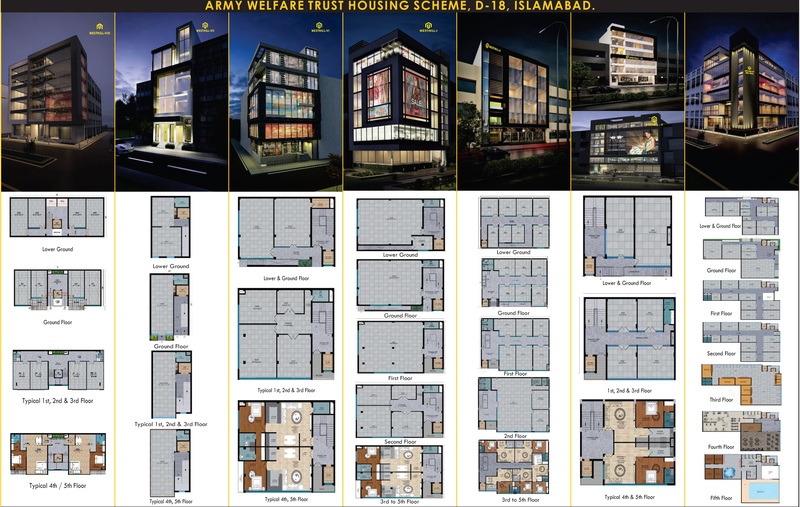 Front elevations and layout plans of each commercial building have been finalized already that we will share below. As you can see on the image, the commercial building uses a lot of glass work to give it a modern look. There are 8 different buildings planned in AWT SHINS Gold Complex under the name of Westhill. All buildings have a slightly different layout, but exterior look is almost the same. Each building has 7 floors i.e. LG+G+5, and each one comprises of commercial shops, halls, offices and apartments. Considering the fact that no commercial projects exist in AWT, this new development is going to affect market prices of residential and commercial plots in short term. Construction work will pick up pace after Ramadan, and most probably AWT SHINS Gold Complex will be put on sale very soon in the market. Construction of so many commercial projects may encourage people to construct their own houses and commercial projects, so overall market situation in AWT can change due to this very project. We will update this page after the official payment plans of shops, offices and apartments in AWT Shins Gold Complex are released, so stay tuned !